A recent conversation with one of our guests very clearly illustrates the most common questions and answers between claimants (victims in an accident) and independent repair facilities. Because the proper repair requires the insurance company representing the insured (the person who hit the claimant), we thought it would be helpful to our guests to get a behind the scenes view of the steps of the repair process. Claimant: I very much appreciate your offer to have the car in for repair on Feb 14. However, I do want to update you with the fact that American Family Insurance (AmFam) sent me a check for the amount of $4276.13. I have filed it and will not cash it. I feel the sending of this check is very inappropriate. I am very concerned about this behavior on the part of AmFam. And I ask again if-given this behavior on the part of AmFam – do I need to consider hiring an attorney? Nylund’s: All your concerns are valid and you posed great questions. I wish this process were easier on everyone, unfortunately it’s not the case. We are aware of AmFam’s initial estimate. It is in no way inclusive of all that will be needed to repair your vehicle back to undetectable, pre-loss condition. The initial estimates rarely are. I don’t believe there is any reason to hire a lawyer quite yet. That being said, Let’s chat about a few of your concerns and the options available. Claimant: I asked you if I would be held responsible for any amount that AmFam refuses to pay. It seems that once you have the car and have it fully assessed that you will again negotiate with AmFam. However – with a worst case scenario that they refuse to pay – what then? Now may car is in pieces in your repair shop-how do I go on from there? Nylund’s: In order to get Amfam to adjust their initial estimate, the vehicle will have to be disassembled and all the damage shown to the insurance adjuster. We have no doubt they will increase their initial estimate. The question is: will they cover all the necessary repairs? The answer is there is no way to know until we are in the middle of it. We go through a great deal of research on each and every vehicle and print out the manufacturer’s procedures and position statements to review and provide the insurance company when they re-inspect the disassembled vehicle. 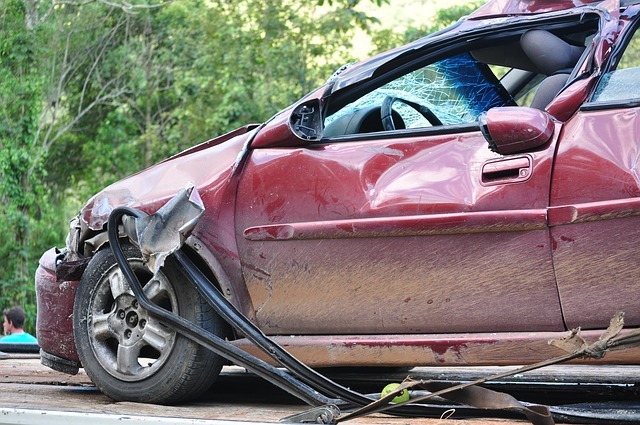 The reason we go through all of this is to convince the insurance company of the correct way to repair the vehicle and influence them to pay for the proper repairs. So let’s say they don’t want to pay completely for the correct repairs we describe. If you want us to continue with the repairs, then yes, initially you will be responsible for the difference. Here is the reason. This is your vehicle and the contract to repair the vehicle is between you and us. The insurance company (whether yours or someone else’s) indemnifies you, the vehicle owner as we have no contract directly with them. As far as any potential difference goes, many times that difference will go down because we will continue to send supplements into the insurance company during the repairs with additional documentation and photos and they will generally continue to pay a little more each time reducing the initial difference. There are also other alternatives. Let’s say we cannot come to an agreement with the insurance company. You can request AmFam to remove the vehicle from our shop and bring it to one of their shops that will have to repair it for what they wrote. The quality of the repairs will be a potential question, but you will not have to come out of pocket for anything. Now, let’s say that the vehicle was repaired by AmFam’s shop and the repairs were found to be substandard. Because the repairs were completed at one of their contract shops, AmFam has to guarantee the repairs performed. We end up doing many, many re-repairs of vehicles that have been repaired poorly from these shops and the insurance company has to stand behind the repair and pay us to re-repair the vehicle. Interesting that insurance companies would rather take this long road and end up paying much more than if they just paid us to repair it correctly the first time. But unfortunately for the consumer, it happens like this quite often. You have us complete the repairs and pay the difference. During the repair process, you hire a lawyer. The lawyer sends the person that hit you a letter letting them know that you will be pursuing them directly for any out of pocket expense their insurance is not covering. Just because they have insurance does not let them off the hook for the loss to your property. The person receiving the letter will most likely call the insurance company to ask what’s going on? Many times the insurance company will reassess their position at that point because if it ends up with you suing the person directly for the difference, the insurance company has to pay for and provide the legal defense for their insured in court – and it is less expensive for them to just pay to have the car repaired correctly instead of going through all the legal expense. Now in any of the above situations, if you own your car, you are entitled to the diminished value of your vehicle in addition to have the correct repairs completed to your vehicle. When a vehicle has been repaired, no matter how perfect the repairs are, the vehicle is worth less than the identical vehicle that has never been repaired. This is known as inherent diminished value. We have a referral to a company that specializes in assisting you in getting paid this money. If you did have out of pocket expense, many times that can be added to the diminished value claim. Because of all the variables, it is very difficult to define how long the vehicle will be down for repairs. I can tell you this. It is in our best interest to get the vehicle back to you as quickly as possible because we front all the money for the complete repair and do not deposit a penny until you pick it up. Keep in mind, during the repairs they should be providing you a comparable rental vehicle. You have one more alternative. If the (insured’s) insurance company refuses to do the right thing and pay the full amount for your vehicle to be properly repaired, you may then go to your insurance company with the request for them to take over the claim. This gives you a higher degree of leverage, as your insurance company is under contract to restore your property to pre-loss condition. (This is not the case with someone else’s insurance company). You will have to pay your deductible – but you are also entitled to access more options to ensure the job gets done properly (ie. the appraisal clause). Insurance companies have made the process of having your car repaired very complex, we do our very best to be by your side, on your side every step of the way. I know I have given you a lot of information here, please feel free to reach out with additional question or clarification. No need to despair… we have your back.